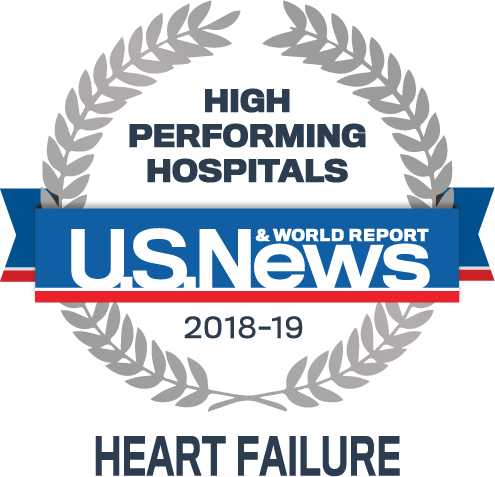 BRIGHTON, MA - St. Elizabeth’s Medical Center has been recognized by U.S. News & World Report as among the best in the nation in treating Heart Failure and performing Heart Bypass in its annual U.S. News’ 2018-2019 High Performing Hospital listing. The High Performing ranking for Heart Failure and Heart Bypass represents the highest rating possible which is also significantly better than the national average. For consideration in the 12 data-driven rankings, the 2018-19 rankings started with 4,656 hospitals, which represent virtually all U.S. community inpatient facilities. Across all 16 specialties, only 158 U.S. hospitals performed well enough to be nationally ranked in one or more specialties. 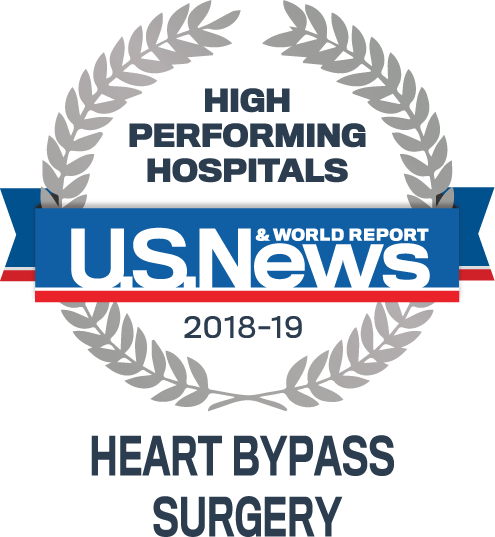 A hospital's Heart Bypass score is based on multiple data categories, including patient survival, length of stay, volume and more. A hospital's Heart Failure score is based on multiple data categories, including patient survival, volume and more. According to U.S. News, data was used from the Centers for Medicare & Medicaid Services' Standard Analytical File database, the American Hospital Association and other professional organizations. The U.S. News Best Hospitals rankings, now in its 28th year, help guide patients to hospitals that deliver outstanding care across 25 specialties, procedures and conditions. The Best Hospitals methodologies include objective measures such as patient survival, the number of times a given procedure is performed, infection rates, adequacy of nurse staffing and more. In 2016-2017, St. Elizabeth’s earned - St. Elizabeth’s Medical Center has been recognized by U.S. News & World Report. as one of the best hospitals for 2016-2017 in the Boston Metro area for our treatment of chronic heart failure (CHF). In addition, earlier this year, St. Elizabeth’s earned the 2018 Get With the Guidelines® – Gold Plus Performance Achievement and Target Hear Failure: Honor Roll Recognition for Heart Failure for the third year in a row.